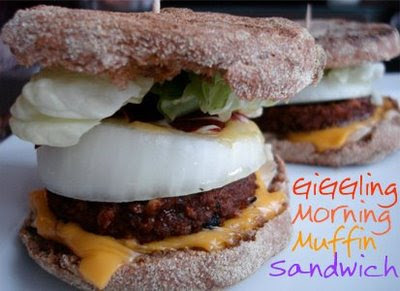 Here is a quickie recipe for the Giggling Morning Muffin Sandwich. 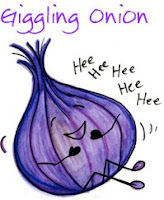 This will make your morning better than 'good' - you'll be giggling. It's the perfect little English muffin style sandwich. It's vegan. Contains protein. It's savory-sweet. And it takes 2 minutes to make. Oh and its absolutely delicious. spread vegan 'butter' on each side of muffin top. heat in microwave for 11 seconds? or eat and enjoy ASAP!